SPIRITUNITY: Attention Deficit or Dividend? We've all heard the phrase, "Today is the first day of the rest of your life." Every day is new day to start again, no matter what happened in the past. Leave yesterday behind. Think not of the future. Just concentrate on the present moment. To grow spiritually requires making conscious choices on our parts. This means we must be open, receptive, and totally present in the moment. It means we must pay attention. In today's busy world, many people suffer an attention deficit. They lack focus, and they miss critical elements of the spiritual life. They miss opportunities for gratitude. They miss moments of grace. They miss the signs (or misread them) that point to the presence of the Sacred. Through this series, you will find that Spirit expresses itself in diverse ways. It may be gradual or sudden, or it may take an on-again, off-again approach. It could be a whisper or a shout, or it could be a gentle, undefinable, unexplainable, undeniable tug on the heart. Spirit will come to us through various mediums -- people, places, things, animals, nature, events, intuition and more. Spirit will show in the form of our day or night dreams and magical synchronicities. But it may also come in the form of emotional crisis, illness, loss, or a near-death experience. No matter what happens in our lives, we discover that there are spiritual dimensions to them, if we choose to listen to and to learn from the experiences. As our awareness grows, we come to understand that there is a natural course that this awareness follows. We can’t rush it. We can’t ignore it. We can’t get in the way of it. We do this by having faith, not necessarily in any particular religion, but in the counsel of Spirit. Our job is to look long and steadily at things because they will speak to us and reveal themselves. Spirit is in the details. Paying attention requires discipline and practice. And with discipline and practice, we begin to sense the inner, spiritual essence of all people and things. Through regular spiritual practices, our intuition grows as we get in touch with our Voice of Knowing. It speaks in a whisper, but it speaks volumes. Learn to listen to it and trust it. When we do, we begin to value our insights, especially in dealing with life’s challenges. As we continue in our growth, we find ourselves expressing a higher frequency of consciousness, one that leads to a state of harmony and balance. When we begin discovering that the whole world is charged with sacred meaning, we find ourselves being born into a whole new life. The ordinary transforms into the extraordinary because of our attention to detail, and we reap the dividends as a result. Beginning today, practice being mindful of everything around you and inside of you. Attention can be practiced anytime, anywhere. One of the best ways to expand our attention's capacity is to study one particular object or person near you. You don't have to write well to do this exercise. Just observe. Concentrate on recording vivid details. Examine the object/person as if meeting for the first time. Describe specific perceptions. Record any questions that begin to surface. Do this over a period of a few days to a week with other objects or people and see what kinds of connections you begin to make. What colors and how many variations of those colors do you see? What else do you see? Look closely. I once had an art class in which the professor trained us to look for the colors within one color. We observed cumulus clouds until the colors presented themselves in various tones and shades that lightened or darkened whenever the sun emerged from or hid behind them. 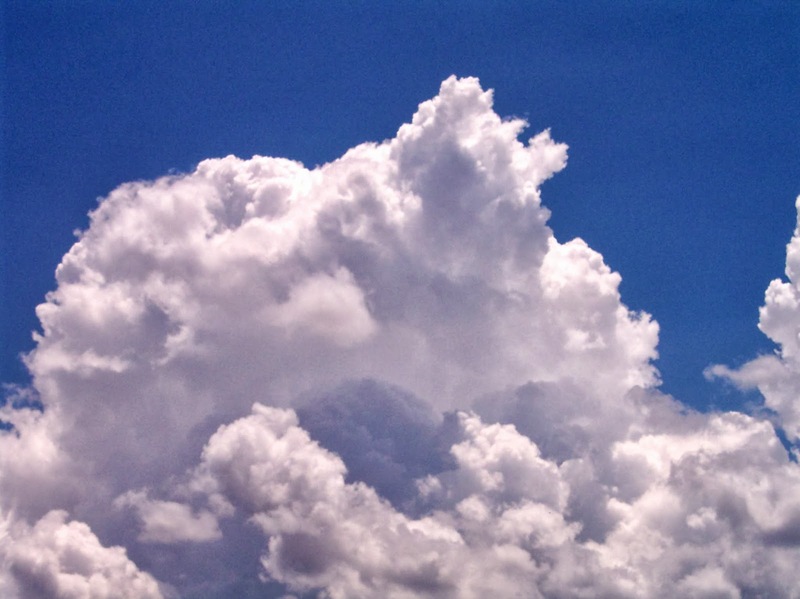 Each cloud had it's own personality, shifting and reshaping itself according to the wind patterns, and many of us found ourselves identifying with particular clouds. We asked questions of them. We related to their changes. We connected. And then the clouds weren't clouds anymore; they were us, and we were them, all because we paid attention. 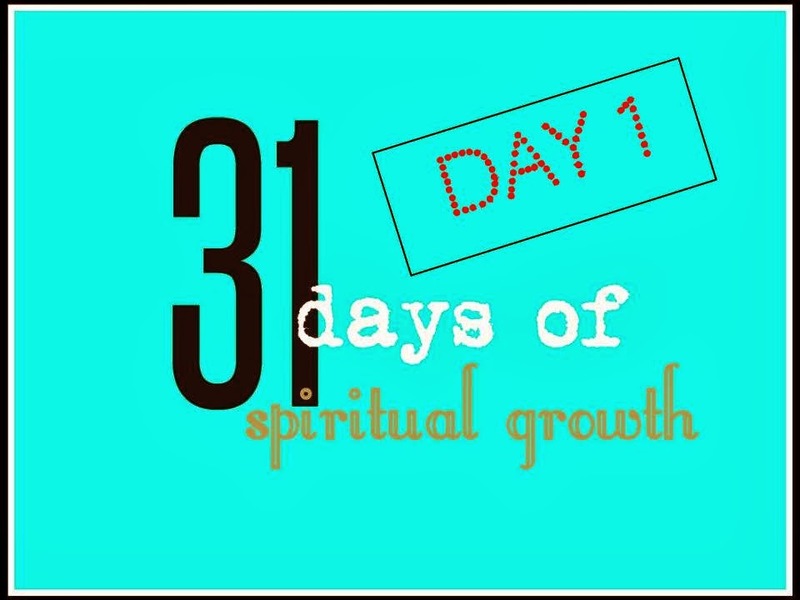 Read 31 Days Of Spiritual Growth for the introduction to this series and to get the links to all 31 posts. Your article really resonated with me. I have been thinking of ways to be more present in my daily life and this has come up with a few suggestions for me. Really interesting and informative read, thank you for sharing. hi penny! thanks for stopping by my blog :) and i'm so glad there was a link over here to you! now i'm looking forward to THIS series! I am all about looking and seeking, hoping to find what God has placed in my path! Hi Dawn! I'm looking forward to sharing with you! Thanks for sharing Penny. I love that God has made Himself known but we do have to pay attention. Romans 1:19 - 20 since what may be known about God is plain to them, because God has made it plain to them. For since the creation of the world God’s invisible qualities—his eternal power and divine nature have been clearly seen. Thank you, Peggy. I appreciate you stopping by to comment. Once again, WOW! Very well stated and poetic, even! Guidance from Spirit does come in the every day and like whispers. Exercises to raise your awareness of your present life are very useful indeed. They may seem simple but they are extremely profound. I look forward to all of your posts for the month. Kathy, thank you! Guidance from Spirit is always available to us, when we take the time to quiet ourselves and listen. I am reminded of a quote by Christian journalist Malcolm Muggeridge: "Every happening great and small is a parable whereby God speaks to us, and the art of life is to get the message." That is a lovely quote. 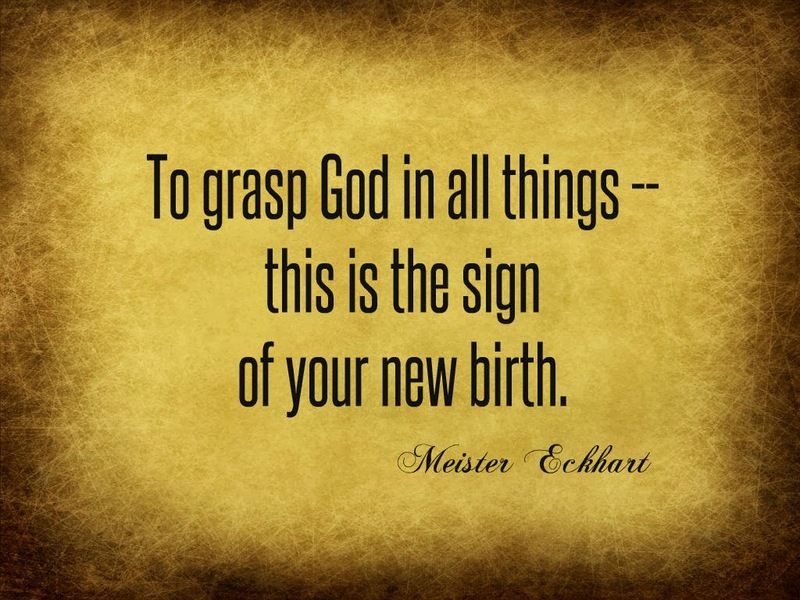 And Amen to Spiritual Growth and loving the joyful journey. I think I have to look deeper into the colors of others...I'm still having issues with suzyq ....I'm not taking it personally but its still hard when she is very unprofessional ....I was able to calm myself and call my angels but the question. Is when do I say something to my boss or do I let it go....? Its a hard call....I think why am I doing this? What kind of feelings I have? And what kind of outcome am I looking for.....tons of listening to night....I will let you know tomorrow ...thank you for the guidance. The answer will present itself to you. You'll know it's the right one because you will feel in alignment with it. Let me know what happens. That is a path we all must take - I am looking forward to your thoughts through this month. Being mindful will take practice. Thanks so much for stopping by - loved your definition of joy. Thanks, Beverley. Being mindful does take practice, but it's a practice worth doing. I'm glad you liked my definition. I look forward to hearing more of your thoughts. Unfortunately most people notice nothing around and rush through life with the speed of train; we do not have time to enjoy life and people next to us. I am a first time visitor to your blog from the Ultimate Blog Challenge. Have a great month! Shasheta, true, many people are oblivious to their surroundings because they are so rushed; no wonder they find themselves so stressed and depleted. What kind of life is that? Sadly, it's one that they created for themselves. Thanks for stopping by! I look forward to hearing more from you. Suzy, thank you so much for your comments and for nominating my blog. I am humbled, my friend. Thank you. Penny, you are so right about paying attention. The answers are always there, but sometimes, or often, people do not see them. Great suggestions for growth. Thanks. Dina, indeed. Here's to growth for everyone. If people ask for the answers, the answers will reveal themselves. Thank you for stopping by and commenting.